Success happened literally overnight in 2014 for Author Anna Todd, who published the first chapters of what would become a major success on Wattpad. Fans could not get enough of the story centering on a college junior named Tessa Young who falls in love with a Harry Styles-inspired character in her studies at Washington State University. A publishing deal soon followed, before spawning a series of wildly-successful novels which became New York Times Bestsellers. After is primed for the big screen and we were lucky enough to chat with Todd and the stars of After, Josephine Langford (the younger sister of 13 Reasons Why star Katherine Langford) who plays the lead role of Tessa and Hero Fiennes-Tiffin (Harry Potter and the Half-Blood Prince), who stars also in the lead role of Hardin. The Trio made time for a Toronto stop on their whirlwind Press Tour and big numbers are projected if the amount of interest online is any indication. 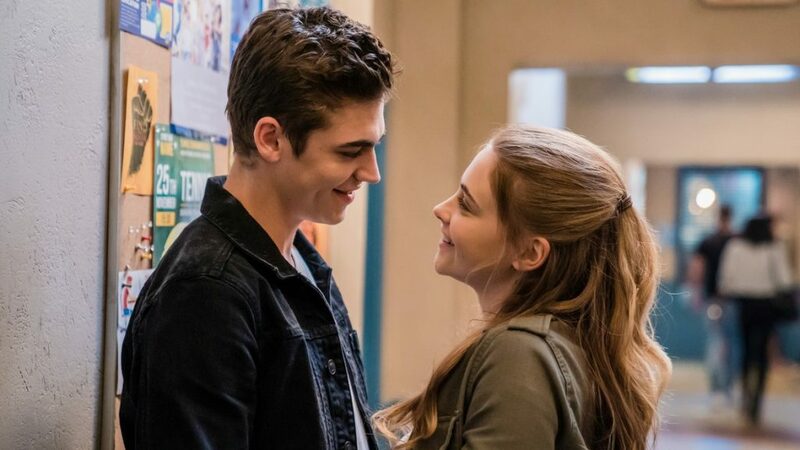 Ardent is an understatement describing After‘s fanbase and we chat with Fiennes-Tiffin, Langford and Todd about this, plus also Tessa and Hardin’s electric chemistry and what they took away from their experience making what could be the first installment of a mega-franchise. How do you achieve that chemistry on-screen? Todd: “We really took a shot with the two of them because they hadn’t had a chemistry read. Josephine had chemistry reads with side characters and Hero had chemistry reads with a potential round of Tessas but we never had a chemistry read between the two of them. So we really honestly just got really lucky with that.”. Fiennes-Tiffin: “We feel we can never really take credit for that because we just come on and do our best and we were lucky to get on with each other . The whole cast and crew we’re genuinely all friends genuinely today”. Langford: ” It’s definitely good casting and luck.”. What are some of the ‘crazier’ fan experiences you’ve had this Press Tour? Langford: “I’ve been given a lot of cat-related items.”. Fiennes-Tiffin: “I have a football top from every place we’ve been so far.”. Todd: “I would say it’s just having crowds of people every where. There was a night – I would say it was intense more than ‘crazy’ – where they were chasing the car and it felt sorta like a nice Zombie Apocalypse?”. Langford: “It was a loving Zombie Apocalypse.”. Todd: “You always see Justin Bieber getting in a car that gets chased. I never thought that I would be in a car that people would care enough to chase!”. What was the greatest challenge of bringing the story to the big screen? Todd: “Timing mostly because the books are so long and there’s just so many plot lines and you have to be selective on what makes a good film. So it’s kinda separating the book as much as I kept the book in mind – all of us did – but there are things that just work in a book that don’t work on-screen. I find it’s about keeping the balance of keeping it true to the story but also making it a good film even if you’ve never heard of the books. If the film does its job, people who have never even heard and maybe will never read the books, will still love the Film.”. What was the most valuable thing you took away from making the Film? Langford: “For me it was scheduling. I’ve never been in a film where I literally was in every single scene, except maybe one. So learning to deal with that schedule and maintaining continuity while shooting out of order – that was super-valuable to me.”. Fiennes-Tiffin: “It reiterated to me the importance of telling the whole truth. A lot of things I felt like I took from the character.”. Todd: “I learned I really like producing. In my next books I will never have everyone have a bunch of tattoos and different-coloured hair, because it’s really hard to do that logistically, especially when you’re making an Indie film on an Indie budget.”. A joy getting to chat with #AfterMovie stars #JosephineLangford, #HeroFiennesTiffin x Author of #After, #AnnaTodd! Chat coming soon on the site! They appear tonight at Yorkdale Indigo 7:30 PM! AFTER is in theatres 4.12.19! Enter for a chance here to win a Prize Pack. Canadian Readers only.